We are leading manufacturer, wholesaler and exporter of Spring Clips. We are a unique name in the industry to provide our prestigious clients an exclusive range of SS Spring Clips. Our adroit workforce use high class material and cutting-edge technology in the manufacturing process of these clips. 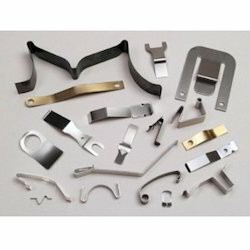 In order to ensure their quality and durability, these clips are thoroughly inspected on diverse parameters in accordance with set industry norms. In addition to this, our precious clients can avail these clips from us at industry leading prices. With hard-earned experience of our adept professionals, we offer a precisely designed Spring Clips. Under the direction of skilful professionals, the offered clips are precisely manufactured using quality approved material and contemporary methodology according to the predefined industry standards at our well-equipped production house. 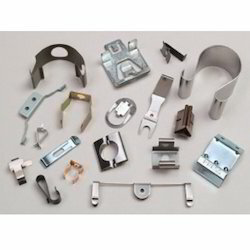 The provided clips are properly examined by our quality experts against diverse parameters. These clips are made available in several specifications at affordable prices. We supply comprehensive range Stainless Steel Clip that includes springs in R-type, U-type and many more. Our wide gamut of wire form springs is available in various sizes and based on the machine size where it is applied. Our wire form springs are also available as per client specifications. R type, V type forms are used in loading purpose and generally used in spring back action. We supply a comprehensive range of Disc Springs, which find its uses in assortment of industries. These are manufactured using qualitative raw material which enables it to exhibit properties such as corrosion resistance, high tensile strength and temperature resistance. We offer these springs as per the requirement of our clients. Looking for Spring Clips ?